LoveNokia | Latest News and Information about Nokia Mobile: Nokia 3, 5 and 6 come with a feature similar to Glance Screen!!! Nokia 3, 5 and 6 come with a feature similar to Glance Screen!!! 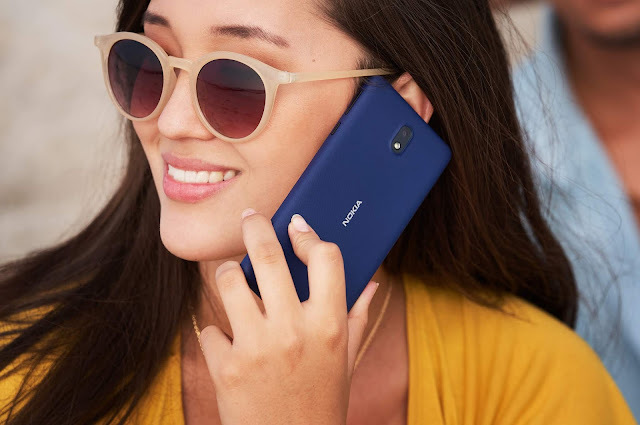 Glance Screen was one innovative feature out of many that were invented by Nokia. 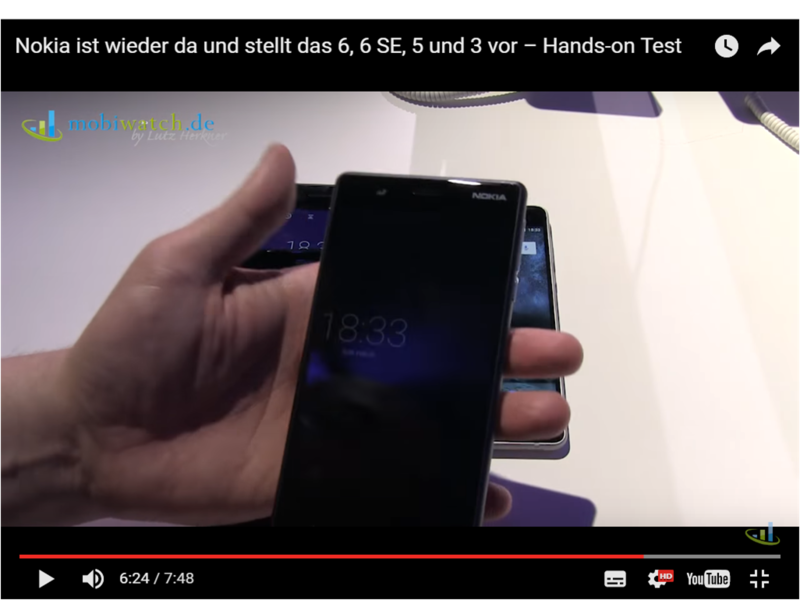 It was present in many Nokia phones like Nokia N9 and many other Lumia devices. Glance Screen allowed you to view time and other notifications without unlocking the device which was very unique. This similar feature can now be seen on many Samsung devices with a different name. 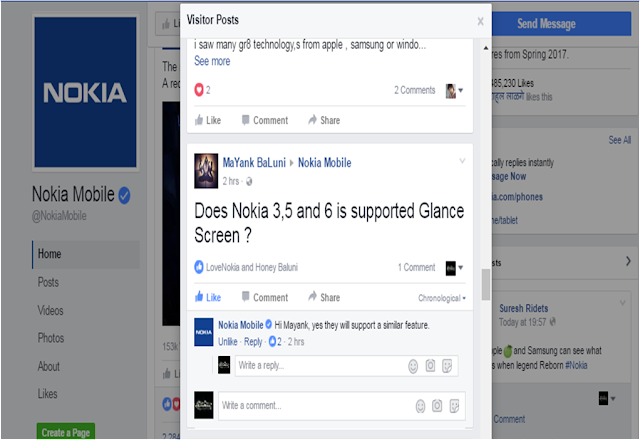 While going through the visitor posts on Nokia Mobile's Facebook page, I saw a post asking about the presence of Glance Screen on latest Nokia phones to which Nokia Mobile replied saying "Yes they will support a similar feature." This means, we might see Glance Screen on new Nokia phones but the feature will be renamed to something else.